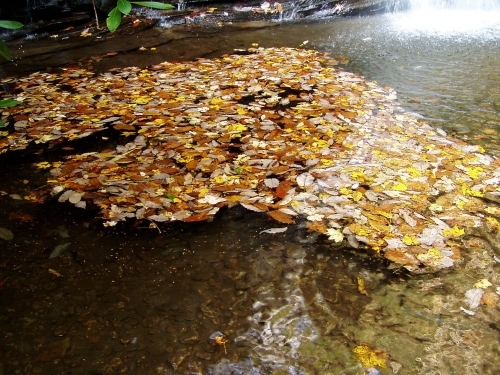 Moonshine Falls was once likely the site of some illegal activities, as the name hints. In fact, some rusty barrels still rest near the falls. 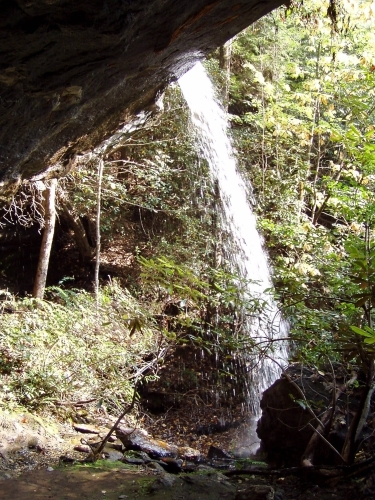 The falls are in the Mountain Bridge Wilderness Area, but the easiest access is now available only through the Asbury Hills United Methodist Youth Camp. 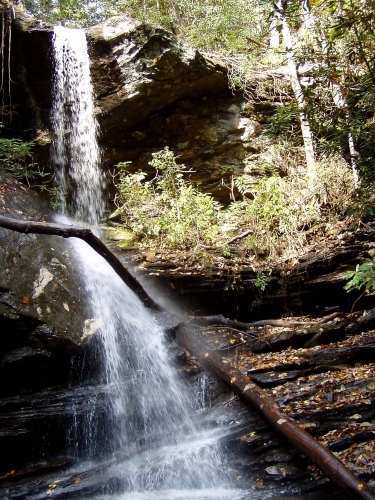 You must call ahead at 864-836-3711 for permission to hike to the falls from the camp. Directions: Call ahead to Asbury Hills at 864-836-3711 to get permission to hike to the falls.